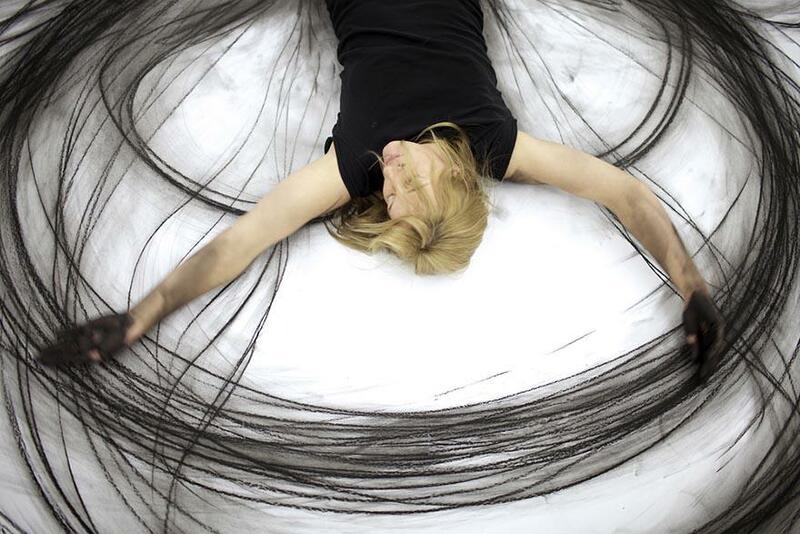 Heather Hansen, a contemporary performance artist and dancer in New Orleans, has come up with an elegant and creative way to capture her dancing motions on paper – she gets up-close and personal with a big piece of paper and some charcoal. For the performance aspect of her work, Hansen invites observers to watch her dance on a huge piece of paper. As she dances and prostates herself on the piece of paper, she marks it with charcoal, gradually building a beautiful diagram of her seemingly ritual dance. She has also created a video called “Emptied Gestures” that features studio recordings of her graceful and dramatic work for those that cannot see it live.